This Star of David Tallit set boasts the most prominent Jewish symbol in a very eye-catching and remarkable fashion. The Stars of David and the stripes that grace the tallit are comprised of a stunning combination of assorted bright colorful shades. 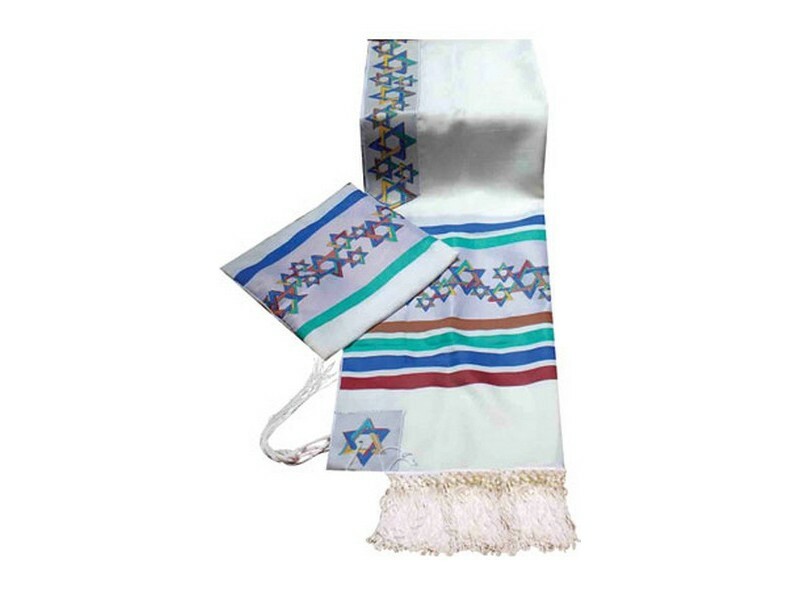 Set includes matching tallit, tallit bag and kippah. 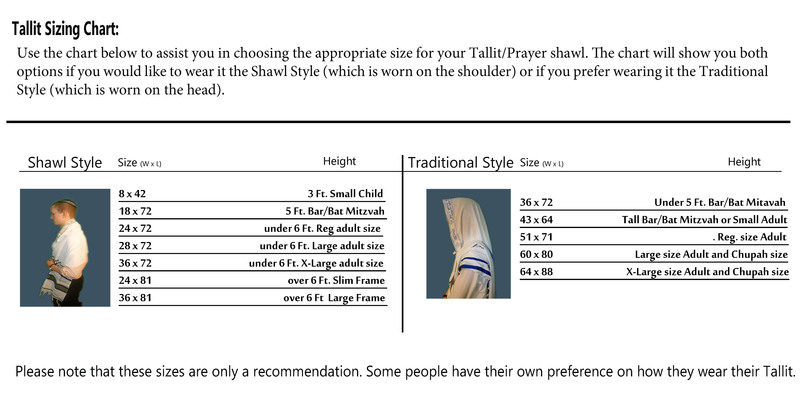 The Star of David Tallit includes a matching atarah neckband. All four corners are reinforced with an extra piece of material that has a large Star of David decoration. Both sides have a string style fringes. Made from quality wool and Dacron blend material.